Home / Who are Media Studies Roadshow? Who are Media Studies Roadshow? 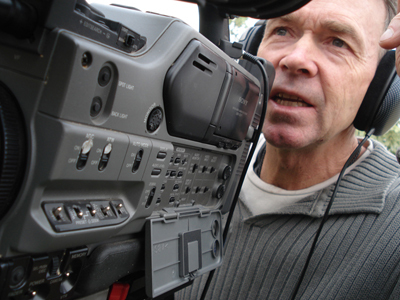 Media Studies Roadshow was created by Michael Lawton in 1997. Since then, MSR has visited more than half of Melbourne’s schools and put over 120,000 students through it’s media studies programs. All staff have Film and Television Bachelor Degrees and Working with Children checks. Michael Lawton has a broad-based interest in media education and media production. He has 13 year’s teaching experience in primary and secondary schools as a specialist media teacher. He also has a further 15 years experience as a sessional lecturer in Media Studies, television and radio production at the Australian Catholic University. In addition to this, Michael has written curriculum material for primary and secondary teachers. Since 1992 Michael has operated his own video production company. Video Essentials specialises in training and promotional videos, conferences and live productions. They have recorded over 1000 school concerts and plays. Interested in a Media Studies Roadshow incursion?